Doing away with scalpers? Probably the best application of blockchain yet. Don’t get your ticket from a scalper. Go to the blockchain instead. The music festival OUR Music Festival (OMF) is moving sales of its entry tickets, VIP upgrades, grub, and drinks to the blockchain. Yes, I can hear your eyes rolling already. But hear me out, this is an application of the technology that actually makes sense. If it catches on, it might do away with scalping altogether. Created by producer and DJ Justin Blau (3LAU), the event will take place at San Francisco’s Civic Center Plaza in October, with headliners that include Zedd, a big name in the EDM world. Blau partnered with the “world’s first blockchain entertainment studio” SingularDTV to make it all happen. Here’s how it works. OMF is launching a publicly available token after the inaugural festival in October — the creatively-named OMF Token. Details of the current sale of these tokens have not yet been released. Blau refers to this process as “decentralizing the festival business” in a flashy video, overlaid with some fresh EDM beats. And it makes sense — at least on paper. Think of tokens as stocks — each festival goer holds a degree of influence over future events by buying into OMF’s token system. It’s been a long time coming; the ticket sale industry is more than ripe for an update. Companies like StubHub and Ticketmaster have allowed rogue actors to take full advantage of illegal ticket sales over the years. Ticket bots have ruined online ticket sales by making them unaffordable, or completely unattainable. Blockchain technology, based on the smart contract Ethereum platform, could improve the situation in a number of ways. It could make the sales of counterfeit tickets impossible by permanently tying the original ticket holder’s identity to their ticket, regardless of how many times the ticket changes hands. Each ticket gets linked to the actual buyer, in most cases using a unique identifier or credit card — even a picture of their face could be used as verification. The system wouldn’t stop you from selling your ticket, if you want to. But since each ticket is tied to someone’s identity, they’ll know exactly who the scalpers are. 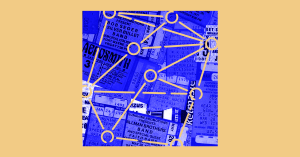 That’s all well and good, but there are a number of significant hurdles to overcome before blockchain technology will rule the ticket sale industry. One big one? There’s still a substantial lack of knowledge surrounding blockchain technology in the mainstream. Chances are, your run-of-the-mill EDM fan won’t understand all the inner-workings of this platform, let alone an Ethereum wallet. And even if a fan knows what they are getting themselves into, there’s no guarantee that the OMF Token will retain any real-life value once it launches as a cryptocurrency. Just ask the owners of imaginary internet cats called “CryptoKitties”. Any application of blockchain technology, in the real or virtual world, relies on a critical mass of people betting on it. And without enough enthusiasm or education, all the EDM DJs in the world won’t be able to draw enough people in to make blockchain concerts financially feasible. So, just in case OMF Token doesn’t take off, sales will also be allowed to happen in fiat (real world) currency as well. The festival organizers even give this feature a fancy name: “hybrid blockchain ticketing system.” But that could end up screwing with their plans by making ticket sales vulnerable to the kind of illegal activity they were trying stop in the first place. Blau’s OMF is a creative solution to a decades-old problem. But to get there, people will have to play along. And, for now, that’s far from a guarantee.